The GPD Pocket Mini 7 hit retail this summer and caused rather a stir among the HEXUS readership. Now GPD is readying another pint sized device and has released pictures, specs, and even benchmarks over on Baidu, the Chinese social media site. The GPD Win 2 is the follow up to last year’s GPD Win and is a handheld gaming PC, with the updated version delivering very meaningful improvements across the board. The GPD Win 2 features a more appealing design, a bigger screen, a more powerful processor with faster integrated graphics, double the RAM, and faster and more capacious storage than the original version. As well as the above you can see in the photos these new GPD Win 2 machines come with plenty of input method and game control options and include ALPS D-Pads, Omron switched triggers, and more. Furthermore, you have plenty of ports to connect expansions, peripherals, displays, and extra storage. Take a look over the system benchmark scores, above, comparing the new and old GPD Win machines. The new v2 model (blue bars) delivers significant uplifts in all the metrics shown; CPU processing power, GPU processing power, storage speeds, and microSD storage speeds. To see how this impacts on game performance check out the chart below. According to GPD’s own testing many title run with much faster frame rates. 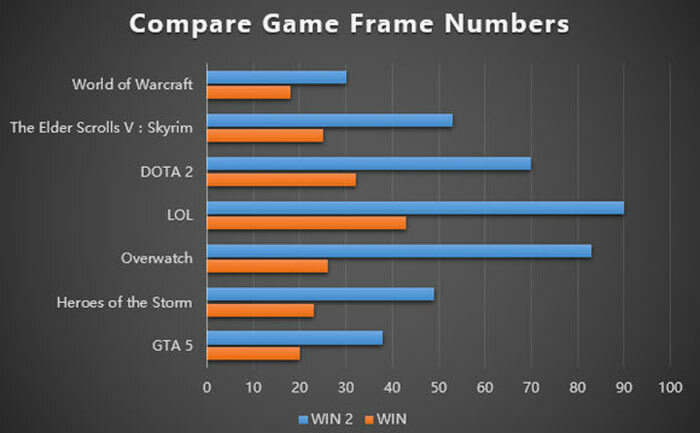 For example Overwatch is boosted from approx 26fps to approx 84fps, and GTA V frame rates are doubled to just under 40fps. 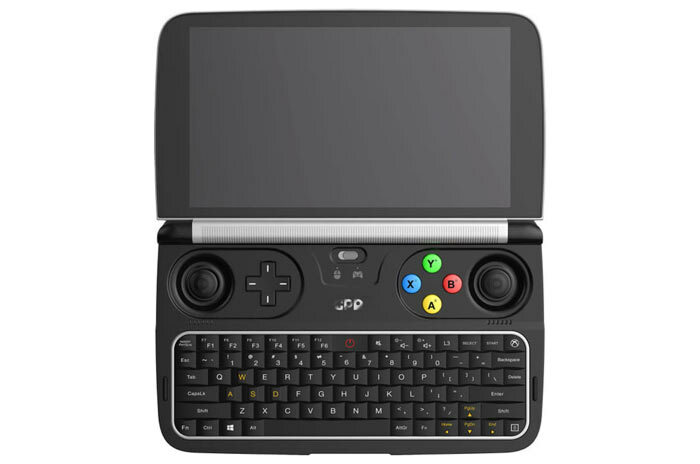 Liliputing reports that the GPD Win 2 will be featured in an IndieGogo campaign in January, with devices expected to start shipping from April. The original Atom-powered model launched at $340, but with the upgrades here, such as the much more expensive processor, expect a price hike for v2.